Meet Dale end car park for 11am, can then ferry cars down to Jackfield. Great turn out on boxing day even taking into account all the bugs and colds doing the rounds. Hope you all had a nice christmas break. The pool session resumes today Sunday 8th January. Membership fees are due, so bring along a signed membership form this Sunday (even if no details changed) and pop in an envelope so easier to process. Bring an SAE for membership card. This post is just to catch up with some general news and housekeeping. Boxing day high rivers and warmish weather an intrepid half dozen paddled. What goes on Boxing day paddle stays on Boxing day paddle. A hardy 12 paddled today, the weather and sickness depleted numbers. Anyway it was very cold on the hands and the river reasonably high, not an ideal day for a paddle or a wet exit. Nice to see old and newer faces at the river and post paddle pub. For those non regular paddlers I thoroughly recommend the other three seasons of the year for more pleasant paddling. 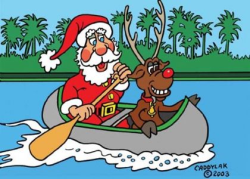 Seasons greetings to one and all, the annual Boxing Day Paddle is nearly opon us. Meet at Dale End approx 10.30am (this will allow cars and gear to be ferried down to the site) then back to Dale End with the help of the non paddlers to get on water about 11.30am and paddle to Jackfield.